Part of the hardest thing about finances is not so much learning but teaching them to the next generation. Well, at least it is for me. I can learn as I go but to help my children not make the same mistakes that I did or encourage these young minds to make wise financial decisions when everything around them discourages it (new toys, new clothes, only $1 section, etc). 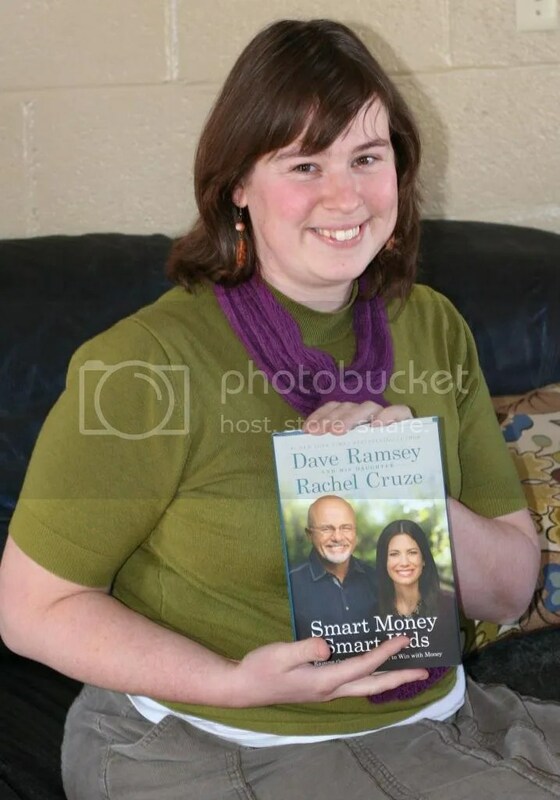 I jumped on the opportunity to read this “new” (at the time I got anyways) book by Dave Ramsey (the financial guy) and his daughter, Rachel Cruze. Now, when I got it, I dived into it but being a mom of four and then starting to go back to college, this book, literally, got put on the back shelf. And so it goes. Recently, with the new year and new year resolutions I pulled it out again. See, last year I did the 52 week saving challenge. I did it. Me. Wow. Cool. AND I decided to do it again, but this time, my mini-me aka Daughter number 1 decided she wanted to as well. I found a child’s version and encouraged her to join in. Here was the delima that I knew would happen right off the bat; she has money, we go shopping, this is the potential for a disaster. While she is 7 years old and can use some slack it would be wise for her to start considering and getting into the habit of making wise decisions before its too late and she is being forced to do so. So, I remembered this little book I got some months ago to review and I set about reading it again. I love how simply it is laid out. That is probably why I love Dave Ramsey so much. His principles are simple and attainable. The guy was a self-made millionaire, not once, but twice and lost it both times, he is now a millionaire and learned how to keep it afloat all these years. Rachel Cruze (Dave’s daughter) gives insight to what is was like as a child learning all of it. Chapters are broken up so that they are easily able to find certain sections you may need at a particular point in life in your teachings. This is for all stages of life from beginning to earn money to preparations for college. I just have to note that while Dave and Rachel are both authors of this book, you always know which one is speaking. It’s nice not to have to try and figure it out. Pros: You learn how to teach your children how to be smart money managers without being tight-fisted. They are going to learn that money is a tool. You can teach them how to save every single dollar but then they will never learn how to wisely spend. The principles that they start learning SAVE, SPEND, TITHE/GIVE. That’s it. Simple envelope system that can be grasped and whatnot. Each child is different and this caters to your specific child without making it a cookie cutter system. It works for the child that is a “spender” (still have some saved and learns not to go into debt) and it works for the “saver” (learns how to save wisely and spend wisely). I am actually thinking of reading this book aloud to my 6 and 7 year old. Yes, some will go right over their heads but I think that they will grasp some of it and want to feel adult about their decisions. Cons: Not to say that this is the most perfect book out there, its not, there is only ONE BOOK that is like that, but, I cannot think of a reason why I shouldn’t recommend this. 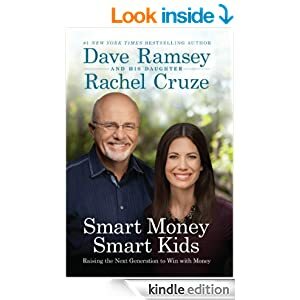 If you do not like Dave Ramsey, and I have met people that don’t, then I wouldn’t recommend this for you. 🙂 But, I love that its simple and a more detailed way to teach our children and encourage them in wise financial decisions. We will be using this often.